← Don’t Store Cake or Pancake Mixes for Long-Term Storage. When I was younger, my mother would serve watercress sandwiches on occasion. They are a common English dish and are quite tasty. I still like them and have a favorite spot for picking it located by an old spring several miles from my home, but still within walking distance. 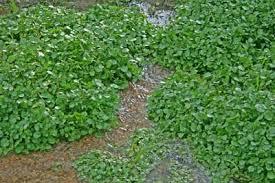 Watercress is a fast growing, aquatic or semi-aquatic, perennial plant. It is normally found growing in water or right on the edge of a stream, lake or spring. It normally appears to be floating or creeping across the surface of the water. Watercress leaves are made up of three to five oval-shaped leaflets and in the spring, has clusters of small flowers with, four white petals. It grows in almost every inhabited part of the world. Watercress can be found in every US State and in many parts of Canada. In the United States, in the south it can be harvested every month of the year and in the majority of northern states every month but January. It is one of the oldest foods harvested by humans, and was used by the Greeks and Romans. 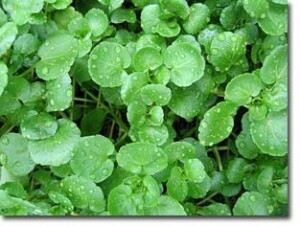 The English used it in watercress sandwiches. The Italians, add sprigs of watercress to their minestrone and other satisfying and hearty vegetable soups. The Chinese use watercress in egg drop, wonton and watercress soup. Watercress is used in many parts of the world in salads. It can be lightly steamed and used as a green. Watercress is a good source of iron, calcium, iodine, and folic acid and vitamins A and C.
When you are harvesting watercress don’t pull up the whole plant. Just, cut off the plant’s at the water’s surface. Because it is a very fast growing plant you should have no trouble filling a basket with it in a few minutes. One word of warning, when foraging for wild watercress you should avoid water sources that come from areas that have livestock, farms, or housing developments. Because it grows in the water, it can become contaminated. This entry was posted in edible plants and tagged watercress. Bookmark the permalink.